In 2013, 10,076 people were killed in alcohol-impaired-driving crashes and an additional 290,000 people were injured. These alcohol-impaired-driving fatalities accounted for nearly one third (31 percent) of the total motor vehicle traffic fatalities in the United States. The total comprehensive costs of drunk driving are almost $200 billion annually. An alcohol ignition interlock device (IID) is a mechanism similar to a breathalyzer which is linked to a vehicle’s ignition system. An IID can be used to deter an individual who has a prior drunk driving conviction from driving the vehicle with a blood alcohol concentration (BAC) that exceeds a specific level set by state law. Before the vehicle can be started, the driver must breathe into the device, and if the analyzed result is over the specified legal BAC limit, the vehicle will not start. In addition, at random times after the engine has been started, the IID will require another breath sample. This prevents cheating where a friend or relative breathes into the device to bypass the system in order to enable an intoxicated person to get behind the wheel and drive. If the breath sample is not provided, or the sample exceeds the device’s preset BAC, the device will log the event, warn the driver and then set off an alarm (such as the lights flashing or horn honking) until the ignition is turned off. Currently, IIDs are mandatory for first and all offenders in 28 states (AL, AK, AZ, AR, CO, CT, DE, HI, IL, KS, LA, ME, MD, MS, MO, NE, NH, NM, NY, OR, RI, TN, TX, UT, VT, VA, WA and WV). 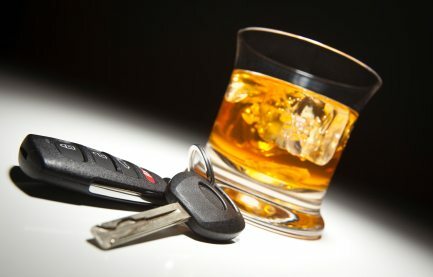 These state laws offer the most effective means for denying drunk drivers the opportunity to get behind the wheel after having been convicted of a drunk driving offense. An average of one alcohol-impaired driving fatality occurred every 51 minutes in 2012. A common misconception is that most people who are convicted of their first drunk driving offense are social drinkers who made one mistake. However, studies show that the average first offender will have driven drunk 80 times before getting arrested. According to the CDC, adult drivers drank too much and got behind the wheel approximately 112 million times in 2010, which equals approximately 300,000 incidents of drinking and driving each day. Nearly eight in 10 Americans support requiring ignition interlocks for all convicted DUI offenders, even if it’s their first conviction. 82 percent of offenders themselves believe the ignition interlock device was effective in preventing them from driving after drinking. When IIDs are installed, they are associated with an approximately 70 percent reduction in arrest rates for impaired driving. Research shows that ignition interlocks reduce recidivism among both first-time and repeat DWI offenders, with reductions in subsequent DWI arrests ranging from 50 to 90 percent while the interlock is installed on the vehicle. Drivers with a BAC of .08 or higher involved in fatal crashes were seven times more likely to have a prior conviction for driving while impaired (DWI) than were drivers with no alcohol (7% and 1%, respectively). For a full list of citations, please download our Ignition Interlock Fact Sheet.